The people of Requiem. For centuries, they've been languishing as slaves, chained and collared in a distant desert, their homeland in ruins. For centuries, they could not summon their ancient magic, doomed to remain in human forms while once they could fly as dragons. For centuries, they suffered under the whips of the seraphim, angelic overlords with swan wings, gentle haloes, and eternal cruelty. Now, for the first time, a savior rises. Meliora once thought herself a princess of seraphim. She lived in a palace, and she too owned slaves from Requiem. Yet when Meliora learns the truth--that her father was a slave, that she too could become a dragon--she leaves her life of wealth and power. She joins the enslaved. She tells her brother, king of the seraphim: "The children of Requiem will fly again." 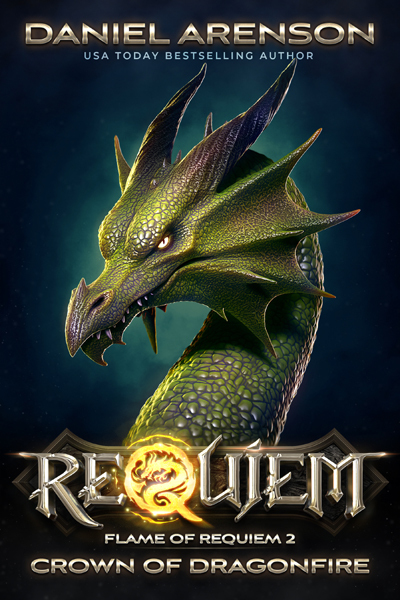 With a handful of brave souls, Meliora seeks to escape the land of slaves, to find the mythical key that can unlock their cursed collars… that can let Requiem's people fly as dragons again.